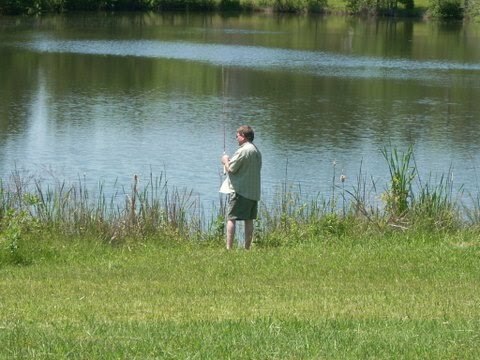 Our members fish in our large pond. The size of the fish are said to be quite large. We catch ’em, but we put them back in. One of our members has been working hard at killing the algae that is busy trying to take over our pond. The pond is on private property and is not open to the public. You may see us fishing there, but it is in our front yard.